If you have broken, clogged deteriorating sewer lines it can be a major problem whether you own a home or a business. 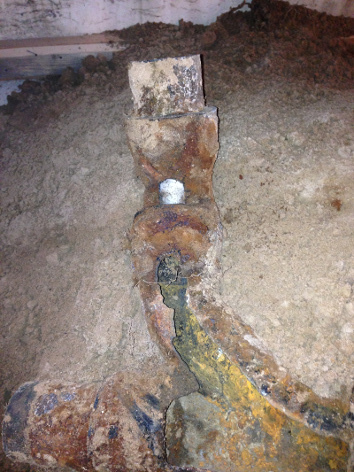 When your sewer line starts to deteriorate, it may collapse and waste water may no longer be able to flow through it. Sometimes your sewer line only needs to be unclogged, but in other cases it may need to be repaired. A professional company that specializes in sewer repair in Philadelphia will be able to quickly tell you exactly what your problem is and fix it very quickly, as long as they have the right diagnostic tools. If you notice issues with your drains such as gurgling noises, slow drains, or other problems, you may be in need of a sewer repair. You may notice that your drains are starting to slow down dramatically, or they may stop altogether. As soon as you start to notice issues, you should call a company specializing in sewer repair in Philadelphia to have a look at your plumbing system to try to determine what the problem is. If your sewer line has completely clogged and water is no longer able to flow through it, you need to call a sewer repair company right away. A clogged sewer line can quickly lead to other issues such as backed up water and water damage in your home. You don’t want to have to deal with any of that, and it’s all an extra cost that can be avoided if you just call a local sewer repair company quickly. If your sewer is in need of a repair, there are several options available including trenchless repair methods that can save you the hassle of having to deal with a trench in your yard. Trenchless sewer repair is time saving and it can repair the exact cause of your sewer problem at a lower cost and faster than some of the outdated methods that take more time. Methods like pipe lining or pipe bursting can repair your sewer very fast with minimal downtown and leave your landscape looking great. For more information about trenchless sewer repair in Philadelphia or other types of sewer repair, contact The Trenchless Team today at (844) 311-4106.